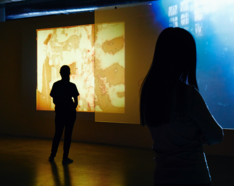 Working in the space between cinema and contemporary art, Apichatpong Weerasethakul creates installations, videos, short and feature films that are often non-linear and transmit a strong sense of dislocation and otherworldliness. 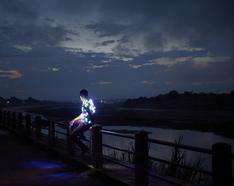 Through the manipulation of time and light, Weerasethakul constructs tenuous bridges for the viewer to travel between the real and the mythical, the individual and the collective, the corporeal and the chimeric. Over the years, the majority of his projects have involved many of the same actors, which has allowed him to capture different phases in their lives and their experience of ageing. Frequently set in rural Thai villages and forests, his films traverse an extremely personal territory, inviting the viewer to enter the subjective world of memory, myth, and deep yearning. 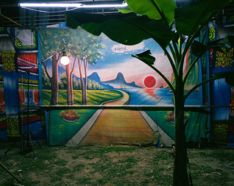 By using unconventional narrative structures, expanding and contracting the sensation of time, and playing with ideas of veracity and linearity: Weerasethakul’s work sits comfortably in a world of his own making. 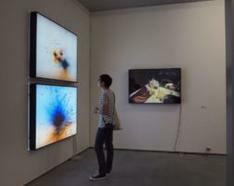 In 1994, Weerasethakul earned his BA in architecture from Khon Kaen University in Thailand. In 1998, he received his MFA in Filmmaking from the School of the Art Institute of Chicago, as well as an Honorary Doctorate from the same institution in 2011. In 1999, he co-founded Kick the Machine Films, a company that has produced many of his own films as well as other experimental Thai films and videos that could not find support under the established Thai film industry. The French Government named him Chevalier de l'ordre des arts et des lettres and Officier de l'ordre des arts et des lettres in 2008 and 2011, respectively. His art projects and feature films have won him widespread recognition and numerous festival prizes, including three from the Cannes Film Festival: A Certain Regard for Blissfully Yours in 2002, Prix du Jury for Tropical Malady in 2004, and Palme d'Or for Uncle Boonmee Who Can Recall His Past Lives in 2010. 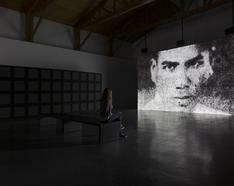 In recent years, some of his most important solo exhibitions and screenings have included: The Serenity of Madness, Oklahoma City Museum of Art, United States (2018); Luminous Shadows, Contemporary Art Centre (CAC), Vilnius, Lithuania (2018); The Serenity of Madness, Museum of Contemporary Art and Design (MCAD), Manila, Philippines, School of the Art Institute of Chicago, United States (2017), and Para Site, Hong Kong, China (2016); Tate Film Pioneers: Apichatpong Weerasethakul: Mirages, Tate Modern, London (2016); Fireworks, Art Gallery of Ontario (AGO), Toronto, Canada (2015) and SCAI The Bathhouse, Tokyo (2014); Photophobia, Stenersenmuseet, Oslo, Norway (2013); Primitive, HangarBicocca, Milan, Italy (2013); For Tomorrow For Tonight, Ullens Center for Contemporary Art (UCCA), Beijing (2012) and IMMA-Irish Museum of Modern Art, Dublin (2011); Apichatpong Weerasethakul: Primitive, New Museum, New York (2011) and Musée d'art moderne de la Ville de Paris (2009); For Tomorrow For Tonight, Retrospektive Apichatpong Weerasethakul, Filmmuseum Münchner Stadtmuseum, Munich, Germany (2009), among many others. 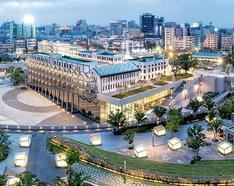 He has also participated in group exhibitions and screenings such as: Metaphors: An Evening of Sound and Moving Image with Kick the Machine, Bangkok CityCity Gallery, Thailand (2017); SUNSHOWER: Contemporary Art from Southeast Asia 1980s to Now, Mori Art Museum, Tokyo (2017); Body / Play / Politics, Yokohama Museum of Art, Japan (2016); Today is the day - 70th Years Memorial of Atomic Bombs in Hiroshima, WATARI-UM, The Watari Museum of Contemporary Art, Tokyo (2015); A Journal of the Plague Year, ARKO Art Center, Seoul (2014) and Para Site, Hong Kong, China (2013); Thai Transience, Singapore Art Museum (SAM) (2012); Transformation, MOT Museum of Contemporary Art Tokyo (2010); The View from Elsewhere, Sherman Contemporary Art Foundation (SCAF), Sydney (2009), among many others. 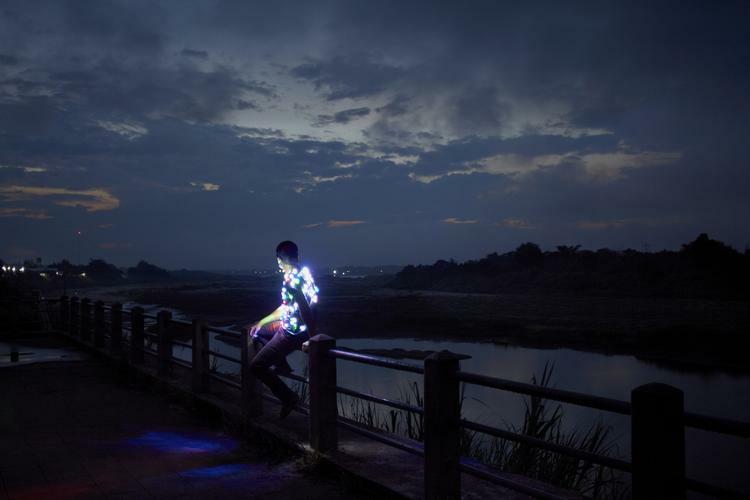 Weerasethakul has participated in several biennials, including: 14e Biennale de Lyon, France (2017); Saitama Triennale 2016, Japan; 20th Biennale of Sydney, Australia (2016); Sharjah Biennial 11, United Arab Emirates, where he recieved the Sharjah Biennial Prize (2013); dOCUMENTA (13), Kassel, Germany (2012); SeMA Biennale Mediacity Seoul (2010); SB2008 Singapore Biennale; 3rd Guangzhou Triennial, China 2008; Liverpool Biennial 2006, United Kingdom; The 5th Asia Pacific Triennial of Contemporary Art (APT5), Queensland Art Gallery | Gallery of Modern Art (QAGOMA), Australia, 2006; The IX Baltic Triennial of International Art, Vilnius, Lithuania (2005); Taipei Biennial 2004, Taiwan; 1st edition of the T.I.C.A.B – Tirana International Contemporary Art Biannual, Albania (2001) and 7. İstanbul Bienali, Turkey (2001), among others.